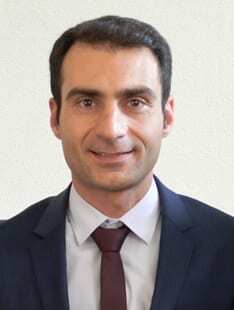 Ehsan Pishva is a postdoctoral research fellow at the University of Exeter Medical School. He obtained his Medical Degree in 2007 in Iran. He practiced for 2 years as a physician in a neonatal intensive care unit. In 2011, he moved to the Netherlands and started his PhD under the supervision of Professor Jim van Os, Dr. Bart Rutten, and Dr. Gunter Kenis at the department of Psychiatry and Neuropsychology, Maastricht University. His research interest focuses on the modulation of gene-environment interactions through DNA methylation and hydroxymethylation in mental health and illness. He completed his 4-year PhD in 2015 when he was awarded the “Kootstra-Talent fellowship Programme for future postdocs” from Maastricht University Medical Center for one year. Since July 2016, he joined the “Complex Disease Epigenetics Group” working on the EPI-AD project investigating the links between stress, depression and Alzheimer’s disease.